Many contemplate what it takes to drive success. Most conclude it does not just take genius. Success is also determined by passion and long-term perseverance. 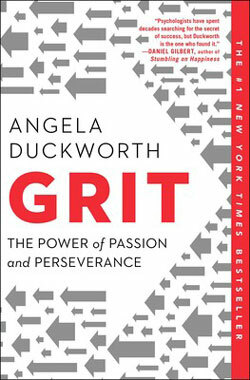 Angela Duckworth, author of GRIT, explores how to discover, develop, and follow your passion. If you’d like to follow your passion but haven’t yet fostered one, you must begin at the beginning: discovery. Ask yourself a few simple questions: What do I like to think about? Where does my mind wander? What do I really care about? What matters most to me? How do I enjoy spending my time? And, in contrast, what do I find absolutely unbearable? 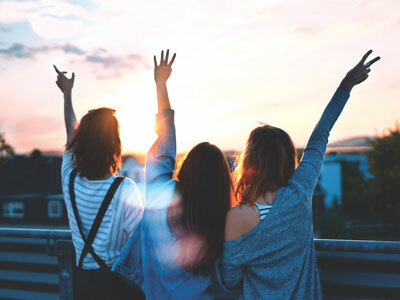 If you find it hard to answer these questions, try recalling your teen years, the stage of life at which vocational interests commonly sprout. As soon as you have even a general direction in mind, you must trigger your nascent interests. Do this by going out into the world and doing something. To young graduates wringing their hands over what to do, I say, Experiment! Try! You’ll certainly learn more than if you don’t! Begin with the answers you’re surest of and build from there. However ill-defined your interests, there are some things you know you’d hate doing for a living, and some things that seem more promising than others. That’s a start. Don’t be afraid to guess. Like it or not, there’s a certain amount of trial and error inherent in the process of interest discovery. Unlike the answers to crossword puzzles, there isn’t just one thing you can do that might develop into a passion. There are many. You don’t have to find the “right” one, or even the “best” one—just a direction that feels good. It can also be difficult to know if something will be a good fit until you try it for a while. Don’t be afraid to erase an answer that isn’t working out. At some point, you may choose to write your top-level goal in indelible ink, but until you know for sure, work in pencil. If, on the other hand, you already have a good sense of what you enjoy spending your time doing, it’s time to develop your interest. After discovery comes development. Remember that interests must be triggered again and again and again. Find ways to make that happen. And have patience. The development of interests takes time. Keep asking questions, and let the answers to those questions lead you to more questions. Continue to dig. Seek out other people who share your interests. Sidle up to an encouraging mentor. Whatever your age, over time your role as a learner will become a more active and informed one. Over a period of years, your knowledge and expertise will grow, and along with it your confidence and curiosity to know more. In sum, the directive to follow your passion is not bad advice. But what may be even more useful is to understand how passions are fostered in the first place. 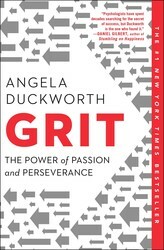 For more advice on how to succeed by following your passion, check out GRIT by Angela Duckworth. Excerpted from Grit by Angela Duckworth. Copyright © 2016 by the author. Used by permission of the publisher. All rights reserved. The daughter of a scientist who frequently noted her lack of “genius,” Angela Duckworth is now a celebrated researcher and professor. It was her early eye-opening stints in teaching, business consulting, and neuroscience that led to her hypothesis about what really drives success: not genius, but a unique combination of passion and long-term perseverance. In Grit, she takes us into the field to visit cadets struggling through their first days at West Point, teachers working in some of the toughest schools, and young finalists in the National Spelling Bee. She also mines fascinating insights from history and shows what can be gleaned from modern experiments in peak performance.